Do I Have to Let Go? I’m reading a lot of Tweets and blogs today about people saying “Good riddance!” to 2009. 2009 sucked very much for very many people. There were big personal tragedies and losses, and the economy was terrible, and I KNOW I KNOW I KNOW. But I have to admit that I am feeling kind of… attached to 2009. This is the year that I finally found health. I finally got fit, and finally lost the weight that has plagued me for most of my adult life. I am just the teeniest bit afraid of 2010, and part of me is not READY to move on. What if 2010 is the year of my downfall? I know, I know, I’m not supposed to think like that. But for me, 2009 was kind of a miracle and part of me would not be surprised if 2010 was sort of back to business as usual. I feel like I’m the only person out there who isn’t completely ready to step into a new year. I hope that my New Years’ Eve will help me make this transition gracefully. First I’m going to lead the Very Last WW meeting of the year (filling for another leader) at my center. Then, in the evening I’m going to a lovely, cozy soup party hosted by a dear friend. 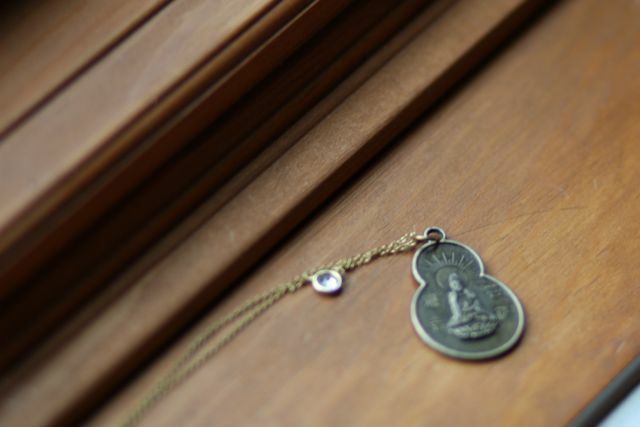 Then I’m going to meditate in the New Year at the meditation center where I haven’t been in way too long. Hopefully, by the time the clock strikes, I’ll be ready for a new year. 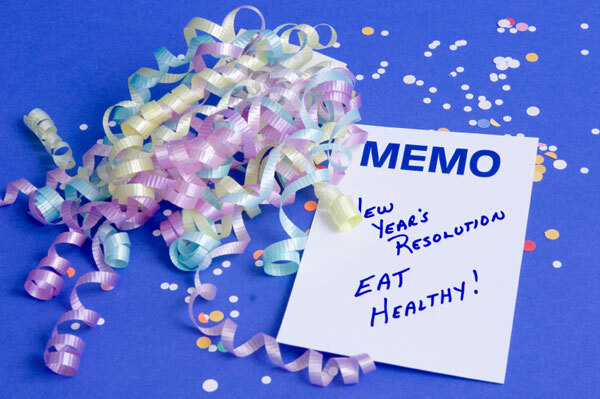 Are these resolutions? I don’t know. They’re more like a list of things I want to accomplish in the coming year. Many of them are kind of ambitious. I have to say, that having the success I did here in 2009 has boosted my confidence for ANY goals. So I am ready to take these on. Complete a half marathon on February 7th. Given the state of my ankle, any sort of locomotion (walk/jog/run) is fine with me, as long as I complete in the allotted time, which I believe is at a 14min/mile pace. RUN one-quarter of the first Oakland Marathon on March 28th. YAY Team Penguin!! Qualify to join the National Weight Control Registry. If I maintain at least a 30 lb weight loss by June 23, 2010, I will qualify. 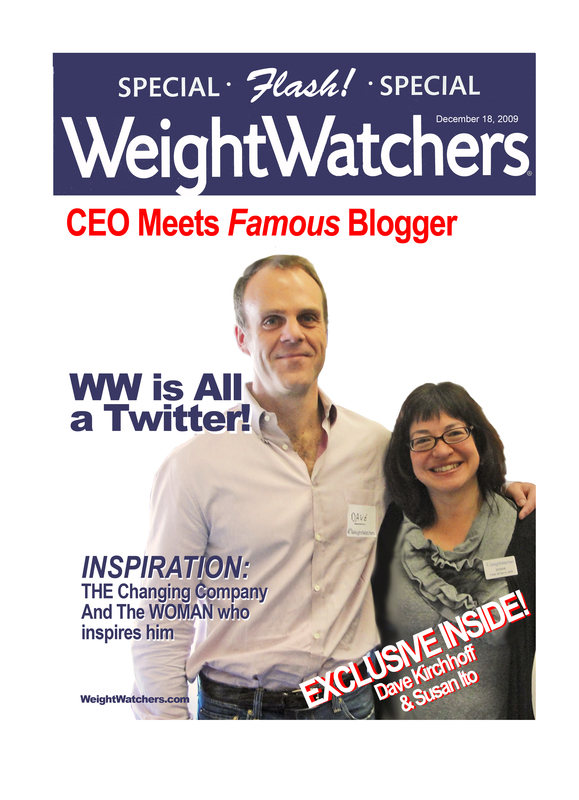 Pitch, write and publish an article (hopefully about the benefits of blogging for health and weight loss) in Weight Watchers magazine. It would make me no less than ecstatic if I could somehow merge my health and writer selves. Fit into my 1988 wedding dress. Become a WW Diamond Leader by the end of 2010. This means being in the top 20% of leaders in the country – in terms of members losing weight and being successful, and a few other parameters. This would be so awesome! I might keep adding to this list as the year goes on. I had a great Christmas. It was one of the nicest Christmases I can actually ever remember. Even though I was out shopping late Christmas Eve, something I swore I would not do, I was still in good spirits throughout. Foodwise, I had a pretty decadent Christmas Eve and Christmas Day. I am certainly up a few pounds. But that’s really the end of it. (I am so relieved!) I don’t have any big plans for New Years’ Eve, and I don’t celebrate Boxing Day. I don’t even know what Boxing Day is. I guess I could look it up. Okay, so they say it’s a day of “cold buffet” (ie., leftovers?!) and parlour games. That just seems… um, obvious? On Christmas Eve, we went to our neighbors’ house for their traditional jumbo breaded fried shrimp and cookie and champagne fest. Ah, it was so good. I had two champagne cocktails, about 4-5 giant shrimp and about five cookies. Which I can tell you is a fraction of what I ate last year, and previous years. I enjoyed every bite of those things, and I felt full but not painful when I left. Yesterday we had ham, turkey, some incredibly decadent scalloped potatoes, creamed spinach. All of it (except the scalloped potatoes) we got from the Honeybaked Ham store. Now I know that HB ham is probably not the most nutritious thing on earth. I know it’s all injected with glucose and salt and chemicals and stuff. Do I care? Hmm. Last year and before, I’d say probably not. But for me, Christmas dinner has to be all about EASE. I can’t cope with shopping, cleaning, wrapping etc AND cooking some multi-day meal. Maybe if I lived near a bunch of relatives where everyone makes a dish. But it’s pretty much all on me so it has to be easy. Our easy Christmas morning breakfast is traditionally those giant Pillsbury cinnamon rolls, yeah the Cinnabon kind. We wake up, make the giant rolls, then open presents. It’s that typical Christmas morning smell. It’s also.. yeah, easy. But I felt kinda sick after my roll yesterday and felt like, I wish I’d made a nice caramelized onion frittata or something else proteinish for breakfast. Again, no time. Next year I might consider tweaking this particular tradition. Or maybe not. Hey, it’s just ONE DAY. I don’t need to eat another Cinnabon for another year. I got some fabulous presents this year. Some of the best ever. One was a BodyBugg, which I have been desiring ever since I started watching Biggest Loser. I am very excited about really knowing the calories I’m burning. I have not quite figured it all out yet. I was hoping to get it rolling this morning but I’m still having some technical difficulties. So I’m gonna have to wait until tech support is on hand, probably Monday. 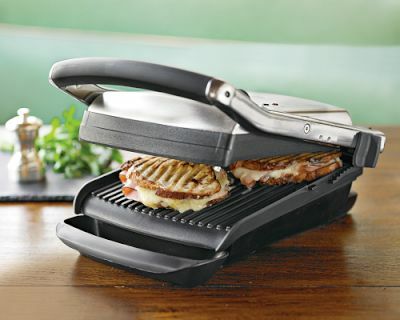 I also received a panini press, which I have been wanting for eons. I am so excited about this. I love warm sandwiches. I love grilled cheese. The great thing about this is that it makes warm sandwiches without having butter all over the bread, which is a huge calorie saver. And I can also use the great thin low-point bread. So it’s all good! We had some leftover ham-and-cheese paninis just now and they were amazing. I’m excited that you can also grill meats (like chicken breasts!) and veggies (like eggplant!) on this machine. I am jazzed, baby. Santa also brought our family an ice cream machine. I admit this is not exactly a WW endorsed product (HA) but I am feeling happy and confident. Just because we have an ice cream machine does not mean we are going to be eating ice cream for breakfast, lunch and dinner. But right now there is some homemade vanilla churning away and I am excited. One of the gifts I gave myself yesterday is that I registered for the Kaiser Permanent Half Marathon in Golden Gate Park on February 7th. A friend of mine is having a Big Birthday that day and she asked for friends to join her in this event. What a great way to celebrate, right? I am not at all sure my ankle will be able to put up with much running but I’ve decided to racewalk most of it and jog a little if I can. Last night we watched Julie and Julia on DVD. I love that movie so much. A feature film about a blogger! A food blogger! That alone made me so happy. As did all the food. And best of all the beautiful relationships between the women and their supportive husbands. It made me laugh and cry. So the awesome MizFit Online has requested that the blogging community participate in the first-ever Christmas Eve Day Virtual Talent Show. How could I resist? I could not. I laughed my face off at some of the other amazing talent that showed up today! Pubsgal at Opposite Life plays a darn good kazoo. Fab Fattie Shannon-Knievel performs some absolutely death-defying stunts in the snow. WOW. LOL! Mary at A Merry Life is a world-class, Olympic level eye roller. Karla rocks at Healthy Scrabble. Woot! MizFit has had some sadness in her life recently. She needed some cheering up. I really hope this helped do it for her!! And to all of you in this awesome healthy-blogging community out there, you ROCK. I hope you have a beautiful holiday time. Today was QUITE a day. Started off with a great workout with my trainer, along with a good buddy of mine, L. She is on a path to health and strength and he welcomed her in to the den of torture good times. No, really, it was all good. I was thrilled to bits to introduce them to each other. And I had an excellent workout, a little surprising since I almost cancelled last night when I thought I was going to absolutely DIE from lady problems. My body is seriously going through some major, er, transition, and it really put me through the wringer last night. Anyway, I recovered in time to get out to the gym and get a nice sweat on. After that I ran home, showered, fretted over my wardrobe, threw something on and then ran down to our local WW center for a big Town Hall meeting with none other than the Big Cheese, El Queso Grande, the national CEO of WW, David Kirchhoff! I am normally not all gaga over CEO types but THIS one also happens to be a fantastic blogger. A food and weight loss/health blogger! I love his blog. He’s a great writer and I love the way he explores all these issues. Plus, he Tweets every now and then which is also fun. 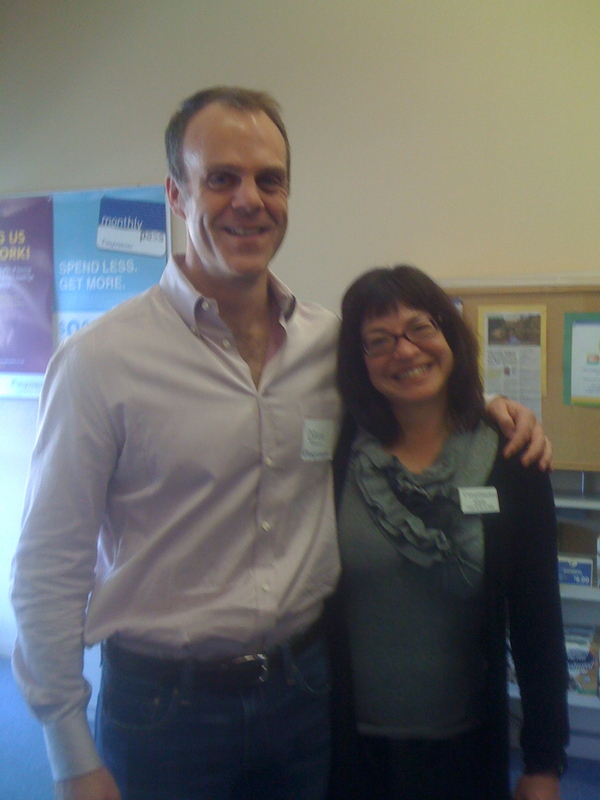 So I was very excited to meet the guy in person. When I got there, he was already talking and I kinda snuck in and sat in a back corner. He had a lot of interesting things to say, about health care and obesity, about the Company, about the direction it’s going in, etc etc. He’s also a very compelling, relaxed but energetic speaker. He told a great story about the beginnings of WW, which began with this Queens housewife named Jean Niditch back in the 1960s. I had heard a little bit about her during my training, but I’d never heard…. the Mallomar story! As he told it, apparently Jean had been overweight her whole life and tried every desperate thing under the sun, none of which worked. And finally she found some medical weight loss clinic which recommended pretty much what WW does today: healthy food, in reasonable amounts. And it sorta worked for her but not really. Because she was eating what they told her, but as it turned out, she was also eating from a stash of Mallomars she kept in her laundry hamper. Heh. into a shelf in my father’s cool dusty workroom. under a ball point pen. 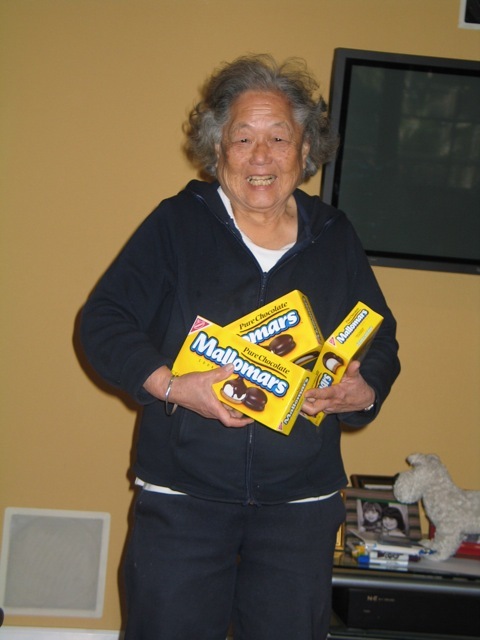 Well, I’ve learned that you can’t GET Mallomars in most of California. And in fact you can only get them for a few select months out of the year. They’re very seasonal, like Dungeness crab. OK, I digress. Back to Jean. Apparently it was not until she confessed her Mallomar stash to the other “fat ladies” (Jean’s words, not David’s or mine) that she was able to make progress with her weight loss. Ta-daa! Isn’t this just what I wrote about the other day? He mentioned more about the toxic nature (or was it the burden?) of shame, and how the act of coming together and speaking truthfully with these other women was what became the very first WW meeting, and what helped her to lose her weight for good. Now, I have not known a lot of WW meetings to be super deep and confessional places, although SOME of them are, particularly ones that are led by people who show that example and open it up for members. I would hope that eventually my members will feel comfortable enough to share some of the things that hold them back. I can see how the training materials we get are designed to support people in that way. Anyway, more stuff was said, including some rather extensive commentary about Valerie Bertinelli (LOL), which I found amusing. Also the great quote that we do not necessarily make bikini models, but we make healthier people. Hooray for that. And he said that great leaders need to be leading More Meetings, at which point, my boss gave me this Look, and we both cracked up because of all my angsting over balance and more and more and more meetings. But at that moment if Big Cheese had asked me to lead fifty-three meetings a week, I probably would’ve said yes. OK. This post is getting way long. Here’s the punch line. I had been mulling over, SHOULD I mention anything about blogging? Or my blog? Or the fact that we seem to be Twitterquaintances? And before I could decide, the meeting was over, and he was about to rush off to the airport, and I thought, I better go say something! and lo and behold, HE WALKED up to ME and said, straight off, something to t he effect of: “I know you from your blog! It’s a great blog!” I can’t actually remember if he said, “Your blog is great,” or “I like your blog,” or WHAT, but it was something like that. David Kirchhoff actually reads my blog?!?!? Let me just say, it made my day. I spluttered and stuttered and who knows what else. And then he said, “You’re a lot more prolific than I am,” to which I said, “Well jeez, you are traveling all the time, it’s incredible you manage to do as much as you do.” And it’s true. His blog posts are so thoughtful, and he includes pictures and links and they’re not just these little throwaways. He thinks about this stuff. So then I had my boss take a picture of us (!!!!!!!!!!!! can you see that I’m just like, squeeeing with joy?!) and then he went on his way and I’ve just sorta been on cloud nine all day. It was a great, great day! Mallomars and the Big Cheese all in one place. And suddenly I got all re-energized. Well, I’m not going to make them and then eat a whole bag of them myself. Or keep them in a giant open bowl on the counter and grab a handful every time I go by. I’m not going to do that. But I am going to make them, and give a lot of them away, and keep some and eat them in a slow and mindful fashion. That I’ll do. Another tradition Mr. McBody and I have is to purchase one bottle of Bailey’s Irish Cream during the holiday time. Usually we drink one glass (each) while trimming the tree, and then we drink a little more when wrapping presents on Christmas eve. It’s not like this huge alcoholic blowout thing, it’s a little indulgence. But I thought, oh oh, we won’t be drinking our Bailey’s. But why the heck not?? So I bought a bottle, and we enjoyed it very much during the tree trimming, and the rest of the bottle is there. Realizing that we could still do these things Even Though I’m On this Healthy Path was like this huge lightbulb moment. Wow, I’m not dieting! I’m LIVING. 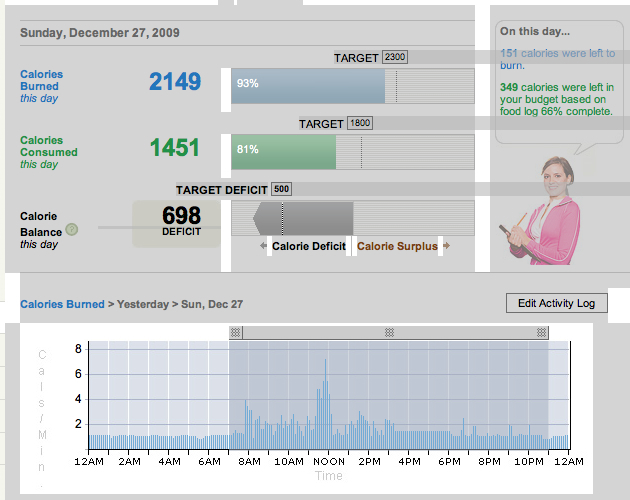 I also happen to be at the lowest weight I have been all 2009. It’s a funny number. As soon as I get into this number, something always goes Boing! in my head and I immediately start bouncing up. I’ve been trying to talk myself down this time though. I don’t know if it’s nervousness at going into this Very Unfamiliar Territory, or it’s a weird relaxation of focus because I think I’m “there” (whatever “there” is) — but this time I am wondering if I can actually STAY at this particular number and maybe even edge beyond it once we are in 2010. It’s a very curious little mind game I play with myself. Because to go beyond THIS number means…. I don’t even know what it means. It means something, though.